Paradox will reveal a new game at this year’s PDXCON, due to take place in May. As well as a new game from Triumph Studios, who were acquired by the publisher in June 2017, Paradox’s own in-house development team will also be announcing a new title. Two Paradox games are on our list of the best strategy games on PC. In a press release, Paradox confirmed that Triumph, who develop the Overlord and Age of Wonders series will announce their next project at the convention, which will run from May 18-20 in Stockholm, Sweden. Paradox Development Studio, who develop Europa Universalis, Crusader Kings, Hearts of Iron, and Stellaris, will also reveal a new title. It’s an announcement of an announcement, and Paradox have so many games old enough to qualify for a sequel that it’s near-impossible to tell what this new game could actually be, or even if it’s a brand-new IP. 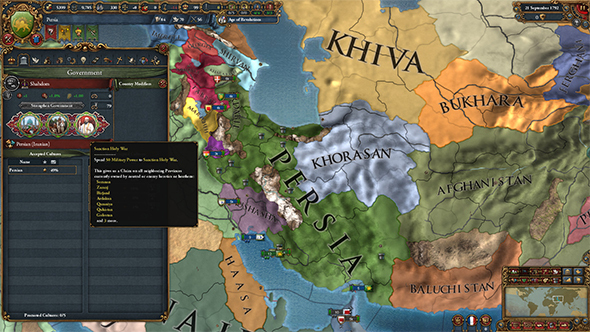 If I had to guess, Crusader Kings III is a possibility – Crusader Kings II’s game director recently said that studio were “starting to look at when to end” the game. Tickets for PDXCON 2018 are on sale now, with three tiers offering different levels of access and rewards.